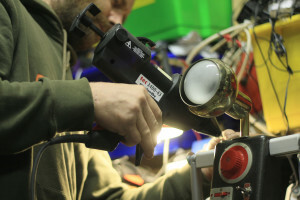 Meet Mark Haig a robot maker from Manchester, who designs and builds robots from upcycled materials. Mark is challenged by such an array of different materials he needs an all-round glue that’s not going to fail. 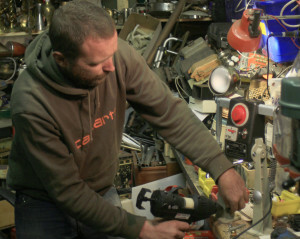 Taking a look around Mark’s workshop you can see to create these robots that Mark could be gluing an old PC monitor to a lampshade stand or an old miners lamp to a tin can, the gluing possibilities are just endless. Tecbond adhesives deliver exceptional gluing power – what can we GLUE for you?